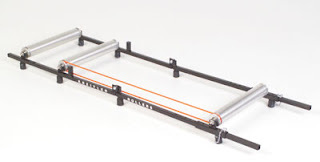 While you can buy a stationary bike for indoor training, I recommend that bike racers buying their first indoor training set up stick with rollers or a trainer. This lets you use your regular bike, keep the same positioning, bar width, saddle height, crank length, etc. 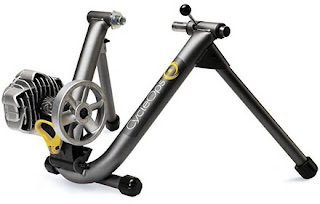 While a stationary bike is appropriate for a health club, the simplicity, portability, and relatively minimal expense of a trainer/rollers is a much better match for most bike racers.